Craft Beer Scene Blooming in Northeastearn Mass. The last two weeks have made it abundantly clear that winter is upon us, especially in the Northeast. But the region’s craft beer scene certainly isn’t going into hibernation. In addition to this week’s grand opening of RiverWalk’s new brewery and taproom, we’ve counted at least half a dozen new breweries that hope to be pouring beer for thirsty Northerners by summer time. And there’s lots of other news in the blooming region. Here’s what we’ve uncovered so far. After nine months of planning and construction, Newburyport’s RiverWalk Brewing will finally unveil its grand new brewery and taproom Wednesday. Located at 40 Parker Street, “the new 20,000 square foot facility will feature a large taproom,12 rotating taps to pour pints and flights, a full food menu, and eventually an outdoor biergarten,” according to its website. Joining more than 100 other breweries across the state that now feature a taproom, they plan to have several new releases as well as some old favorites on hand. They’ll also be taking registrations for their new Mug Club. 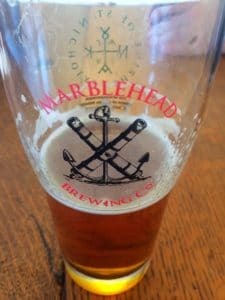 A popular song lyric claims that “In Heaven There Is No Beer,” but you can always head to newly opened Marblehead Brewing Company for a pious pint poured by a Father. You can pick up a growler from their retail shop Wednesday through Friday from 4:30 to 8:30, and on Saturdays from noon to 8:30. Eventually Father Andrew, who learned to brew overseas at the renowned Westvleteren, Rochefort, and Westmalle Trappist breweries, will be crafting recipes on a custom-made 15-barrel system from Germany. He also plans to have a taproom, though he prefers the term “a room with taps,” open later this year. 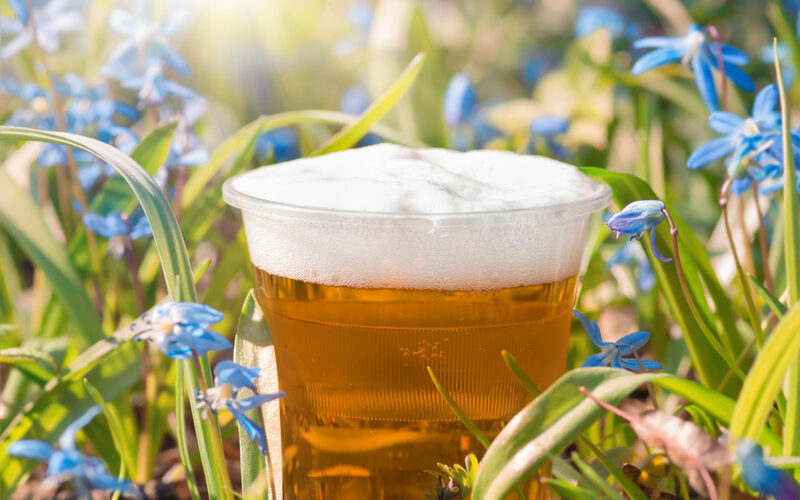 In the mean time, he’ll brew a few more batches at Spencer, and hopes to hold some events with a series of one-day pouring licenses that have been granted by the town. Another newish brewery, True North Ales in Ipswich, open for just over a month now, has started canning and distributing. Among their first offerings is North Shore Session IPA, “the first and only New England style Session IPA,” according to a post on their Facebook page. You can get it at the taproom, and at beer stores across the North Shore starting this week. Another worthy brew to look for while you’re beer shopping is the latest from self-described boutique brewery Old Planters who develops recipes out of its basement nano setup in Beverly. A Galaxy dry-hopped IPA that should hit stores by the first of the year, it’s called Fallow Ground, a farming term that refers to the fields going dormant for the winter. Once the spring thaw begins, co-founders and self-professed townies Matt Sullivan and Ben Garry hope to renew their search for a downtown brewery and taproom space. 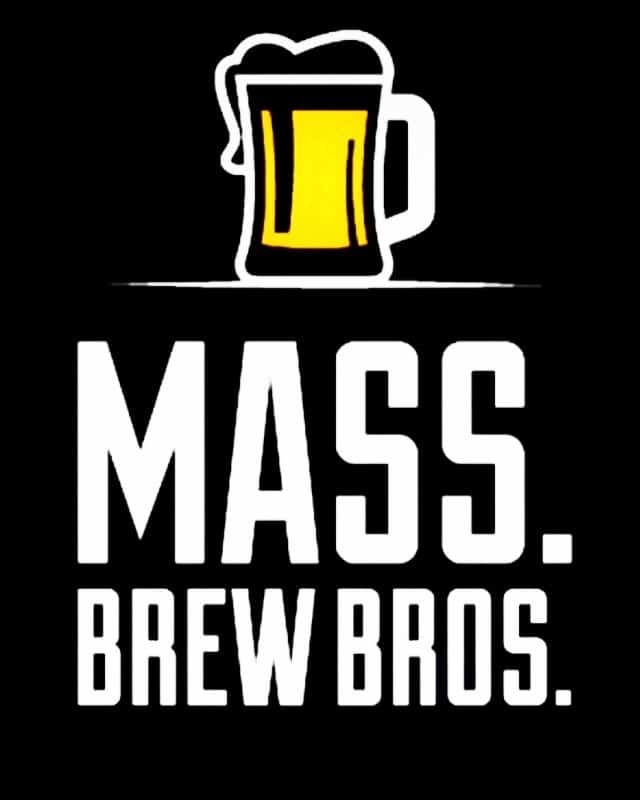 They’re not the only local beer makers looking for a suitable space in Beverly. Successful home brewers Justin Negrotti, Jake Crandell, and Tim Corcoran, co-founders of Agapé Brewing, are also evaluating spaces downtown for a nano brewery and taproom. They’re changing their name as well, to Channel Marker Brewing, which will be announced on social media soon. By this time next year, they hope to be pouring hoppy, hazy IPAs and barrel-aged brews, styles they say they don’t see a lot of within the region. Their plan is not to bother with distribution and to instead focus on take away sales from their brewery, so you’ll need to pay them a visit if you want to try their small batch beers. 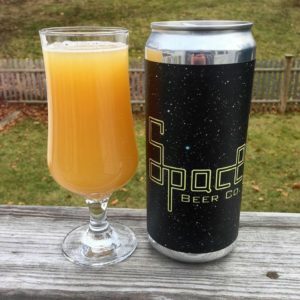 The otherworldly Spacelab Beer Co. is another notable home brew outfit searching for commercial space to open a brewery & taproom in the Northeast. They recently purchased a crowler machine and have several brews, including a lactose IPA, coming out soon. Peabody will finally get its own brewery in 2018, and in time for summer if things go as planned for longtime friends Jeff Marquis and Rob Dunn, co-founders of Granite Coast Brewing. Once they sign the lease on their down town space, the accomplished home brewers will begin install of a 5-barrel system on which they’ll brew everything from Saisons to IPAs to interesting Seasonals, and even sours eventually. The plan is to have growler fills to go and 4 to 12 beers on tap in their 70-seat retail space located next to Mexican restaurant The NexMex Thing. Plan to enjoy your beer and your tacos al fresco when they get their 40-seat patio open. While Peabody will be getting its very first brewery, neighboring Salem is on the cusp of becoming a full-fledged craft beer destination if two more breweries open there in 2018 as expected. The first, East Regiment Brewing, hopes to break ground next month if their final meetings with the city’s design review board go well. Keep your fingers crossed, because the plans sound awesome. Co-founders Scott Perry and Joshua Engdahl hope to build a 3-barrel brewery, mostly with their own hands, in the basement of the old firehouse at 30 Church Street. Their taproom would be a four-season heated awning covering a deck outside the building. Expect to hear more from them once they clear some red tape. For now, you can follow their progress on Facebook or Instagram. The Witch City’s other potential suitor is Beara Brewing, an Irish brewery that produces small-batch, one-of-a-kind beers with Irish Barley Malt. Currently located in a cramped 1,800 square foot space in Portsmouth, New Hampshire, founder and brewer Michael Potorti recently told the Boston Business Journal he was at capacity and couldn’t keep up with demand, which includes new partnerships with Hannaford and Whole Foods. His goal is to move into a space on Salem’s coveted waterfront which would allow him to double production and serve customers out of a spacious taproom. He’s currently working on raising capital. 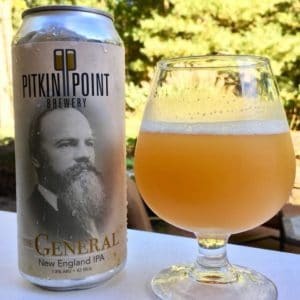 A larger than normal home brew operation with higher ambitions, Pitkin Point Brewery hopes to start contract brewing in early 2018. Other developments to keep an eye on during the first half of 2018 include the anticipated build out of Lord Hobo’s 200-seat beer hall at its existing brewery in Woburn (they’re aiming for a spring debut), a new brewery opening at Cape Ann Lanes in Gloucester this summer (no word yet on a name), and the likelihood that two more Northeast home brewers, Cabral Brewing and Pitkin Point Brewery, will get their beer to market in the foreseeable future. The former is submitting proposals on a couple of potential brewery spaces this week, while the latter is pursuing the contract brewing route to get beer into the hands of its fast-growing fanbase. Finally, you might want to plan a trip to Lowell while all the aforementioned new breweries work toward opening. Though it’s only a rumor, we’ve heard rumblings that Navigation Brewing may start canning soon. They wouldn’t confirm, but did say “as for cans, we’d suggest that folks follow us on social media.” Across town, still no definitive word on when Merrimack Ales, whose taproom plans have been in the works for some time, will start pouring pints, but we hear there’s been movement in that direction. We’ll continue to keep our ears to the ground, and to check in with our army of moles, but let us know if you hear some news that we haven’t reported on. There’s probably a free beer in it for you if your lead pans out. Cheers.